Family trees can be frustrating. 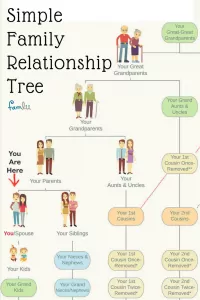 Check out our easy-to-follow Family Relationship Chart, and you’ll understand all your kinfolk and cousin relationships (and even those darling Grand Aunts), without the need for a complicated Table of Consanguinity! What’s that anyway? Genealogy classifies family relationships based on generation, and following consanguinity (a big word that means direct descendants — biological child relationships) and immediate affinal (in-law) relationships. A direct descendent can trace their lineage by child relationships all the way back to a specific ancestor. When you share an ancestor, you are related by blood to another person. 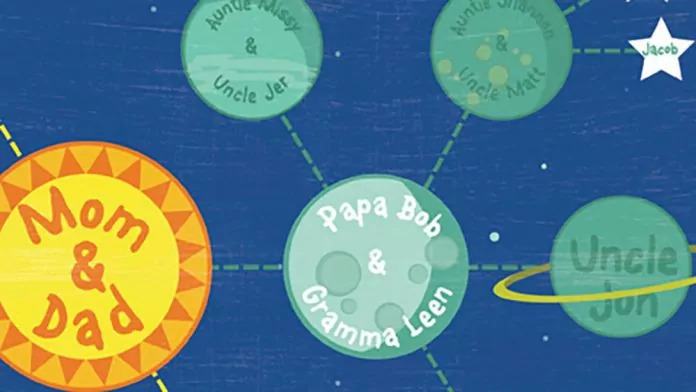 Use Our Family Tree Chart to Find Your Kin! 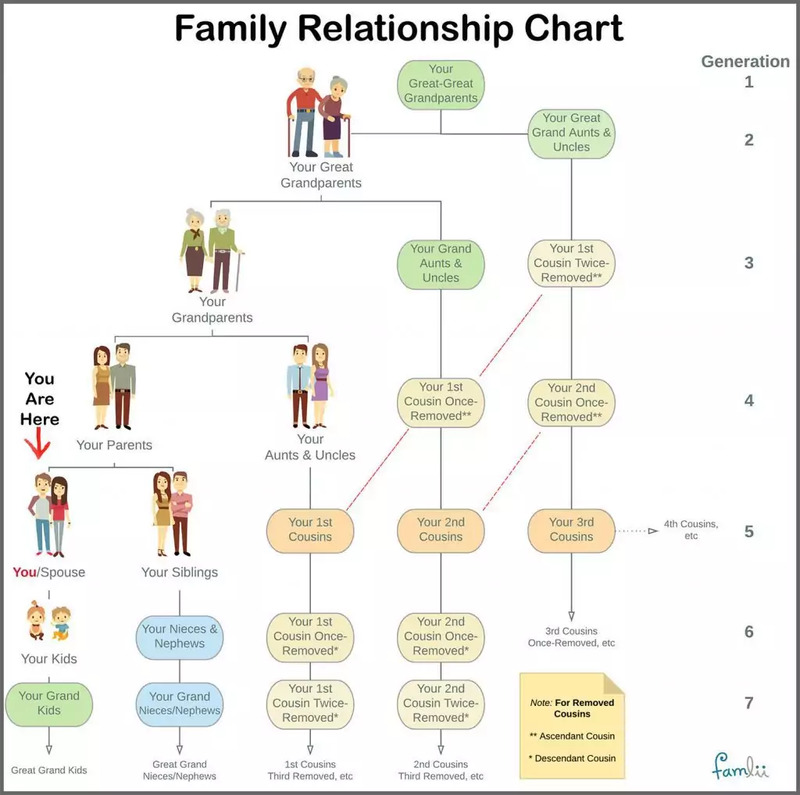 Click here for a pdf printable of Family Relationship Chart. COUSINS are all shown in orange. When you share an ancestor, you are related by blood to another person. How Do you Define Cousins By Generational Levels? A cousin is a child of one’s aunt or uncle, with your distant cousins being the descendants of your Grand Aunts and Grand Uncles. An ascendant cousin is an earlier generation than yourself. A descendant cousin is a later generation to you. This gets confusing because you actually have multiple sets of removed cousins with the same name designation! A 1st Cousin Once-Removed indicates a generation higher OR lower than yourself. Therefore, your descendant 1st cousin once-removed is the child of your first cousin, while your ascendant 1st cousin once-removed is the parent of your second cousin! Tip to Remember: Removed simply means separated by a generational level, while your first/second/third cousins are all at the same generational level as you! Family Relationship Calculator: How are You Related?